"About a year ago, I made the decision to design and build my own home theater. I figured that I had a little bit of handyman skill, more time than money and access to google for any questions that might arise. About six months into the project I realized that I simply didn't know what I didn't know and I reached out to a friend who had the most beautiful home-theater that I have ever been in. I asked him who had done his theater and was referred to KG. Over the final six months, I kept KG on retainer. I would text questions in the middle of the night (that was when I worked) and I would get detailed responses in minutes. Kyle also came out on multiple occasions to assess progress and provide tips. And he helped me source the right equipment for me, even if it wasn't something that he sold. The service itself was above and beyond. But more than that, the quality consulting that I received for my project made it possible for something to be created that I could not have done on my own. Kyle's knowledge was critical and without it I wouldn't have half the room that I have now. And, I am not kidding, but Kyle sent me his last bill and I was shocked. He not only didn't charge me what I expected, it wasn't even close to what he was worth. I ended up sending him more the KG invoice and I was happy to do so. I would, unequivocally, recommend KG Theaters for any home theater project that you might have. From assisting with consulting only or a total home-theater project, you will end up with a result that will blow you away. And feel free to ask me any questions, any time." You can see these reviews and other comments on the KGTheaters Facebook Page. 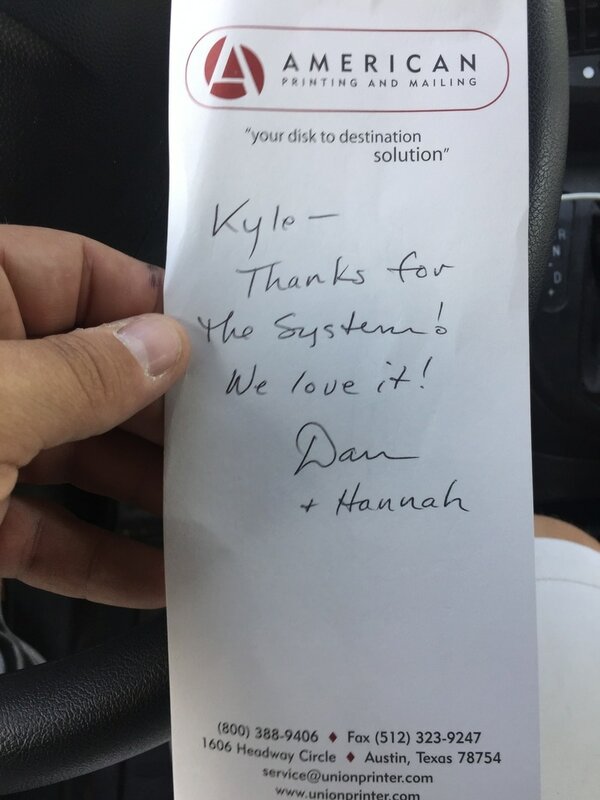 Nothing matters to me more than my clients overall happiness and use of the system. If you use what we design and it improves your life then we did our job right. "First of all one has to understand the complexity of the audio visual world especially when trying to combine great sound with great picture quality. Kyle had completed several projects for me ranging from a full blown movie theater to several smaller living room systems. To say the least his attention to detail sets him apart from most if not all people I work with in any situation. If you are serious about a project I highly recommend Kyle and I honestly think you are foolish not to at least have a good conversation with him. You will be impressed with his knowledge of the subject. I know I was!" Dennis Goehring of Goehring Dental.